Commercial Centre Pole Umbrellas Adelaide Residents Buy from Inviron. Ideal for large tables with a centre hole, or placing next to table or seating areas outdoors, commercial grade centre pole outdoor umbrellas have been designed to withstand Adelaide’s harsh Sun and weather conditions. If you’ve had outdoor umbrellas in the past, purchased from hardware or department stores that have not lasted, you’ll understand why when you see the Commercial Centre Pole Umbrellas Adelaide residents buy from Inviron Blinds Adelaide. 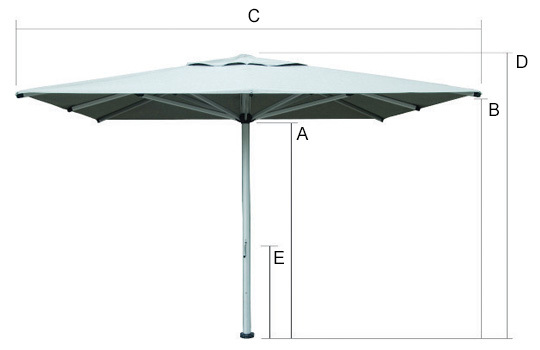 With a marine grade aluminium frame and pole, these premium outdoor umbrellas are made to last. 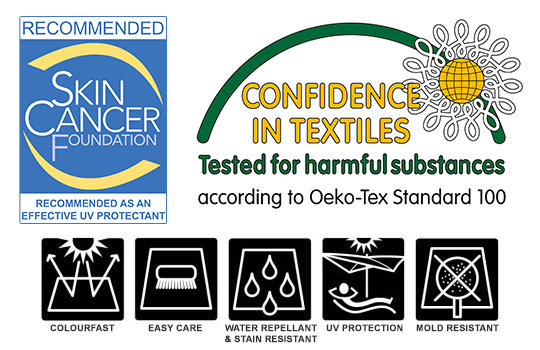 The canopy fabric used on commercial centre pole umbrellas is manufactured from Premium ‘Sunbrella’ acrylic fabric, recommended by the Skin Cancer Foundation and has a waterproof rating >300mm water column. 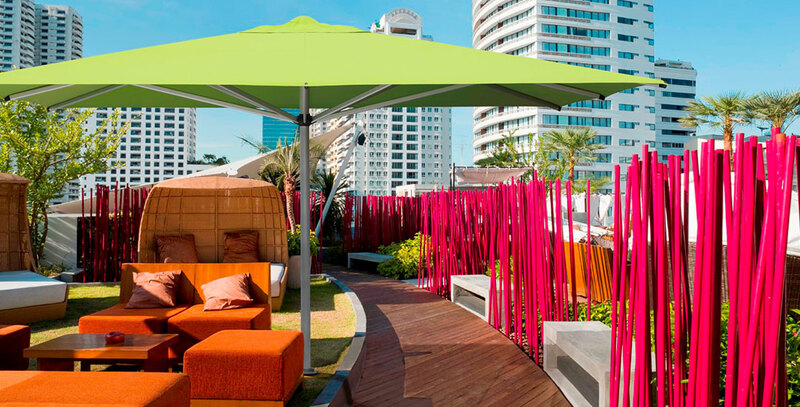 The Commercial Centre Pole Umbrellas canopy is manufactured from 100% solution dyed fabric with shade rating of UPF 50+. 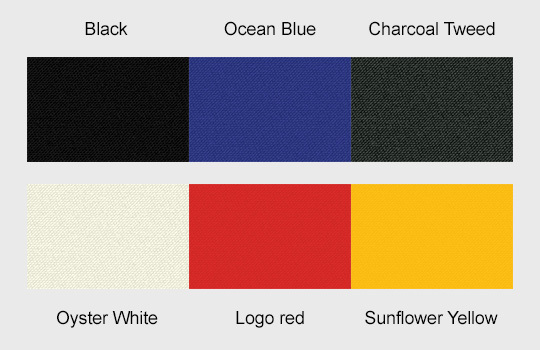 This high quality shade fabric has a colourfastness rating of >7-8/8 and comes with 6 standard fabric colour choices. 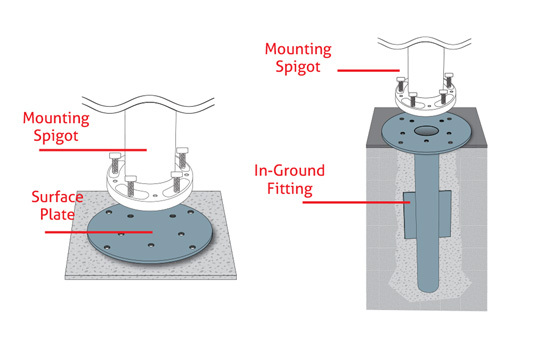 The protection cover protects your commercial centre pole umbrella from the weather when it’s been lowered. 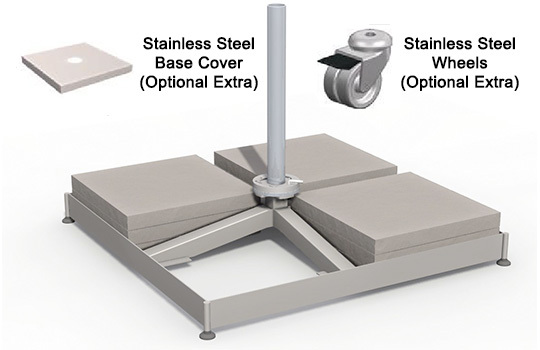 Included at no extra charge, the cover will assist in ensuring that your outdoor umbrella is always looking clean. Quality and customer satisfaction are priorities for us at Inviron. 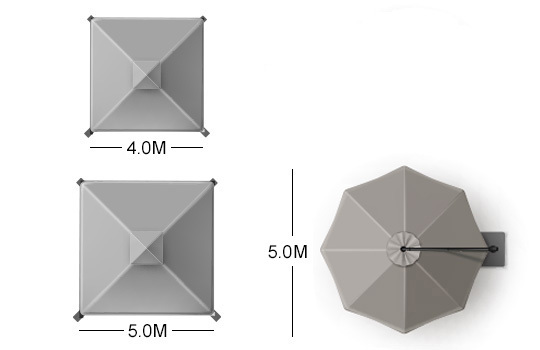 These outdoor umbrellas come with a 5 year canopy warranty and a 3 year frame warranty. Commercial Centre Pole Umbrellas can also be installed on a portable base; ideal for situations where the umbrella needs to change locations regularly. Contact Inviron for more information about Premium ‘Commercial Centre Pole’ Umbrellas’.